Essie's Too Too Hot is one of my favorite reds - the coral is bright enough to make a statement but still classic. 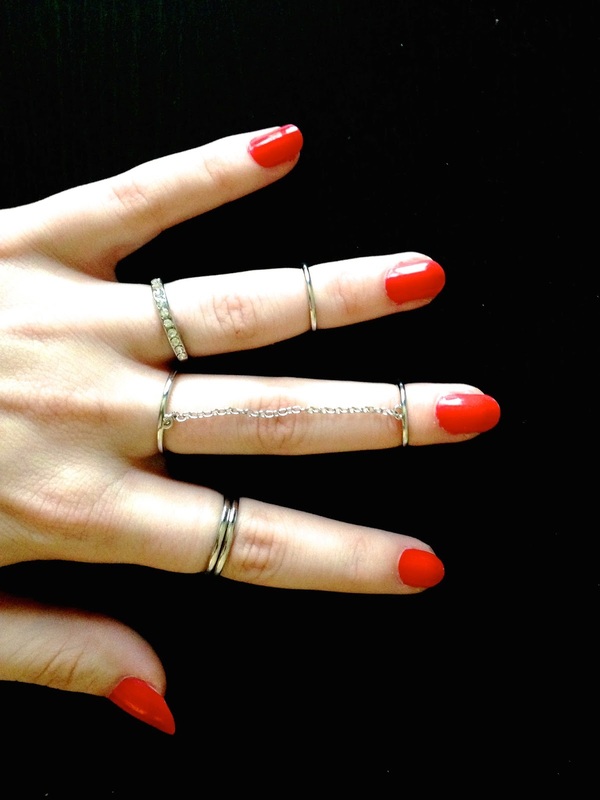 And I'm loving these new rings I got, especially the chain and midi ones! Usually I stick to the same three sentimental rings every day, but for these I will make an exception. Next manicure will probably be from Essie's new fall line (I'm predictable), since it's finally September! Will it be Dressed to Kilt, a berry red? Fall in Line, a sage green? Style Cartel, a very royal blue? It's so hard to choose.